In the Fall when the leaves come down in your yard, wouldn’t you rather be watching a football game? 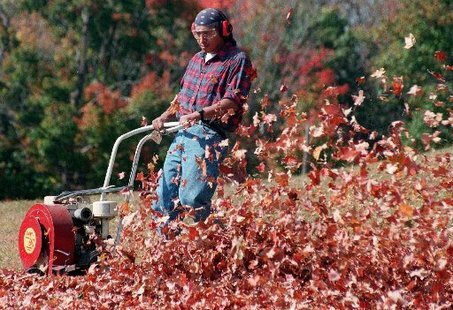 Let Dever’s Lawn & Landscape Service handle the leaf collection for you! 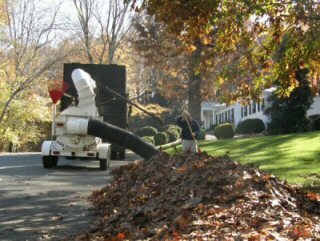 Whether you have a 15 acre cemetery or a residential property our special fall leaf collecting equipment can handle any sized job — and quickly too! 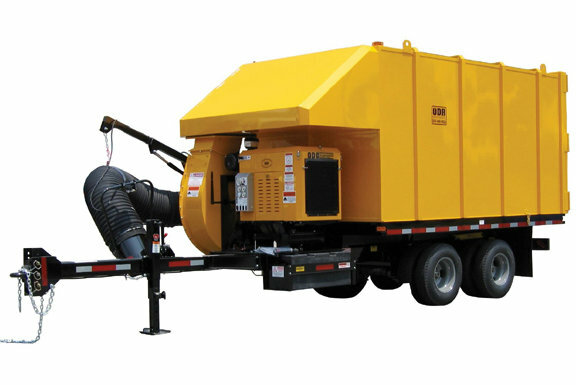 By having specialty equipment and a larger leaf pick-up unit than most of our competition we can do the job faster and make less trips for disposal of the collected leaves. Our fall clean-up service is amazingly affordable – Give us a call or contact us right now! We follow a simple leaf collection protocol. 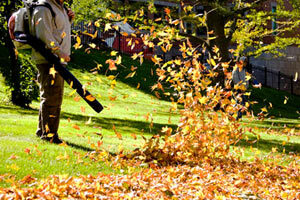 First a line of leaves is cleared from the edge of your property creating a clean edge from which to work. Leaves are then cleared from landscaped areas, and any other areas around structures on your property insuring all areas have been cleared of leaves. And then we collect them with our huge leaf pick-up unit. We sometimes we can be done so fast you won’t even see us! 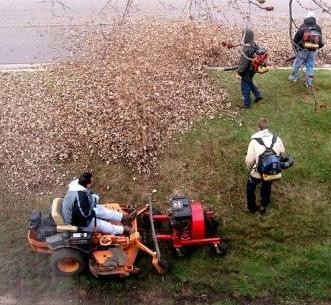 Our specialty leaf collecting equipment keeps our services reasonably priced. To receive an estimate or schedule service, give us a call or contact us right now!